AR 3.00 - Black, Serrated. 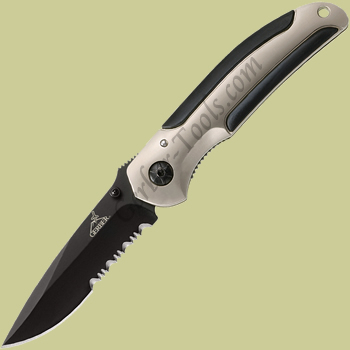 The Gerber AR 3.00 model 05849 / 45864 has a black partially serrated high carbon steel blade. 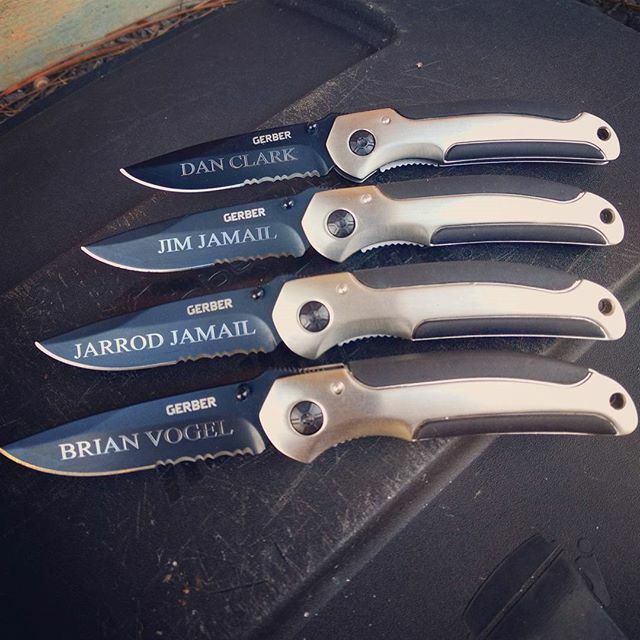 The blade is opened using the thumbstuds on the handle and held open with a liner lock. This full sized knife weighs only 2.8 ounces because the whole handle is made from die cast aluminum.